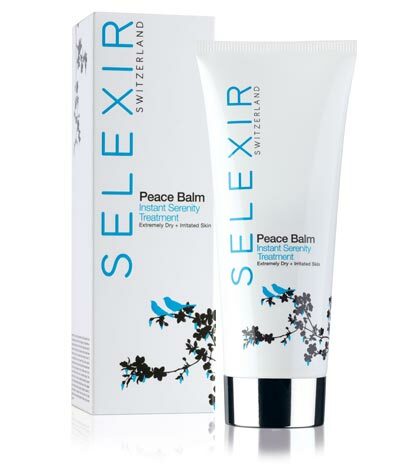 Described as an ‘Instant Serenity Treatment’ for extremely dry and irritated skin, Selexir is a relatively new topical skin cream hailing from Switzerland, and co-created by Elena Herdieckerhoff, a former sufferer of, as she describes it, ‘extreme dry, red and flaky skin’. She told SkinsMatter.com that the product is mainly for light to medium eczema and all forms of dry to extremely dry skin, and that it can be used for children and babies from three months on. Other treatment options include: psoriasis, sunburn/light burns, light cases of rosacea, skin inflammations, or as a general, natural complementary skincare option. Elena says the balm is highly concentrated and a little goes a long way. She recommends warming up a pearl-sized amount of the balm on your finger tips and then gently massaging it into your skin in a circular motion. The skin should ideally be gently cleaned before applying the balm. Versatile, the balm can be mixed with other skincare products, such as sunscreens and moisturizers, and is also said to be a great base for concealer and make-up. For optimal results, she recommends at least twice daily use. After a four-week period there should be visible improvement. We asked three testers to give Selexir a go for four to six weeks: Mica, one of our regular testers who has light facial rosacea and back/chest eczema; new tester, beauty blogger Claire, who has mild psoriasis on the leg, and some dry skin issues; and another new tester Anouschka, who has very sensitive and reactive skin, and very problematic eczema. This is what they had to say. “The texture was beautiful and was my favourite thing about the cream. It is extremely thick, velvety and smooth, and works best if quickly warmed up in your hand before application. It’s easy to apply and a little goes a long way. 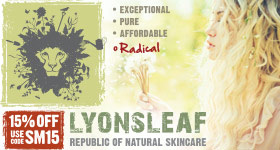 I used it on eczema on my wrist, neck and fingers and only needed about a pea-sized amount for all these areas. The aroma was very pleasant, not obtrusive or overpowering. The cream is also a bluey/greeny colour which I found immediately had a cosmetic affect of making my eczema look less red. “Ingredient-wise, the emphasis is on natural plant and mineral extracts, all of which are listed and described thoroughly on the website, which I found interesting. I was particularly interested to see some unusual ingredients such as blackcurrant, and I was pleased to see zinc, as it is meant to be good for eczema. “I used the cream for a week, at first applying it twice a day and then a little more than that, as recommended. Each time I applied it it felt very soothing, but unfortunately, after a week I noticed that my eczema was becoming redder and more itchy. This was soothed if I applied the cream, but I felt that this benefit was short-lived. Sadly, I therefore stopped using it after a week. “The packaging looks clean and fresh, quite sophisticated and expensive. The fragrance of the product itself is pleasant, faint, slightly ‘mineral’. The texture is a little stiff and thick, but smooth. “There was no fragrance to the product, which I liked, and it was a lovely consistency to use and sank into the skin easily. None of the ingredients worried me. After using the products, both at first and over the course of several weeks’ continued use, my skin felt moisturised and not as dry as normal. I felt the product really helped in the initial stages, but as the weather has gotten worse in winter, my psoriasis has come back and the cream doesn’t seem to be working as hard at the moment. We agreed with the testers that the packaging is very beautiful and luxurious, and that the formulation contains some attractive natural ingredients: shea butter, aloe vera, blackcurrant seed oil, black cumin seed oil, avocado oil, evening primrose oil, honeysuckle flower extract and others too. We would, though, liked to have seen the labelling in a slightly larger font – although we acknowledge that the website is excellent in this regard, and the information online is clear regarding ingredients. Selexir is free from parabens, paraffin, silicones and petroleum, and appears from our analysis of the ingredients to be free from all key food allergens too. Overall, a very exciting brand – and with some new products promised, we look forward very much to how it develops in the market in the year or two to come. 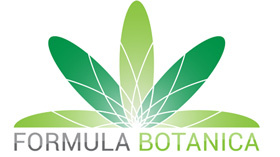 Prices: £20 (15ml); £39 (30ml); £99 (75ml + 15ml). 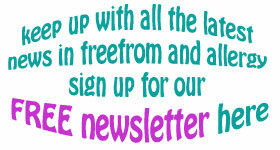 For further information see www.selexir.com.